Update2: As I finally own this beauty, I can use this as official reference, so let's be added here the rest of information. Also, here is original import picture but for referencing use please MY reference you are viewing now. Update1: I won this beauty, thank you! MYO contest - RESULTSHi everyone! First of all, there was 60 different horses and 39 people that participated. That's like, wow, a lot. 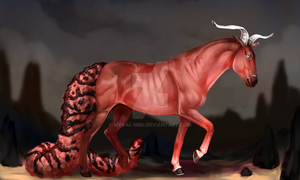 Most used breed were lisqars, over half of horses had lisqar blood in themself. For choosing winners we made a system, when each of breed creators (besides myself) picked 4 horses they like the most. They didn't know, which picks were made by others. In case some horse was picked more times, I was picking the rest of missing horses, to fill number of 20 winning horses. 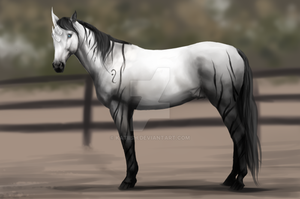 Of course, if judges had their own horse in MYO there could not choose it. and they were picking out of this journal. MYO contest! JUDGING!Changing deadline to final 10th January! I hope I haven't "overmix" it (mainly that striped part) and she will be accepted to entry. I really love this drawing! 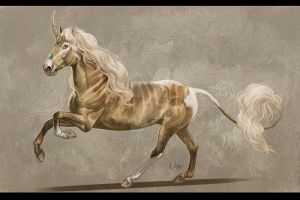 I would like to add it to Asgardian-Horse favorite folder "winged horse inspiration". But I wanted to ask for your permission first, if you are okay with that! May I ask about gems system - should I count them for this horse the same like for 100% Lisqars are counted? She is my first crossbreeded horse so I'm not sure. OMG I forgot to comment/favorite on this, I am so sorry. Sometimes I forget and it does not mean I don't like it. I really love Rosita's beautiful design and those blue wings! ... znovu jsem si pročetla pokyny v journalu a to s těmi křídly stejně nějak nevidím - to se řešilo někde v komentech nebo tak ne že by na tom za mě tolik záleželo, ale zajímalo by mě, kde se taková informace vzala. Řekla mi to Briss když jsem si chtěla udělat nějakýho extra kříženýho koně s křídly. Uvidíme, nom, zase bych ráda zachovala procenta i z Malacosa, protože pak není divný nechat jí spešl vlastnosti druhu.